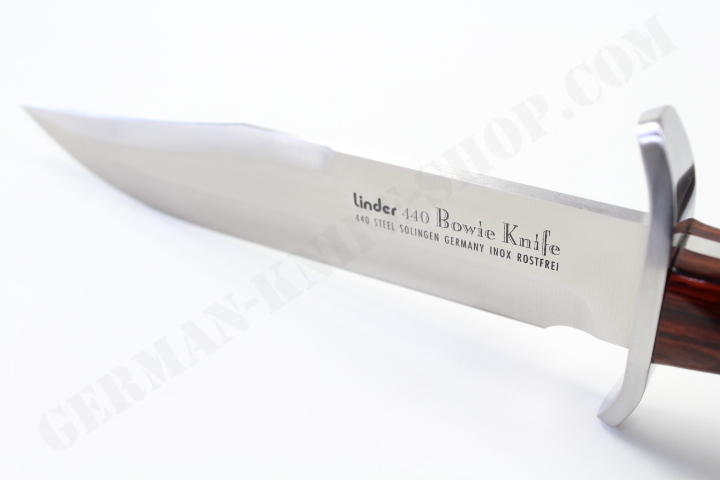 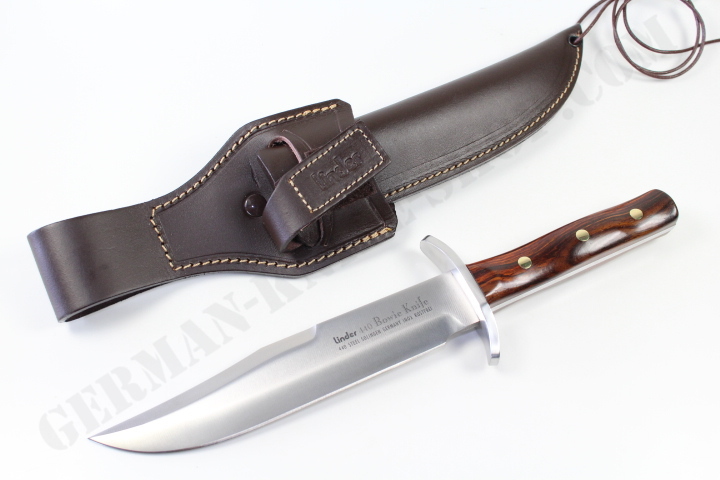 Bowie knife with 440A stainless blade and contoured cocobola wood handle. 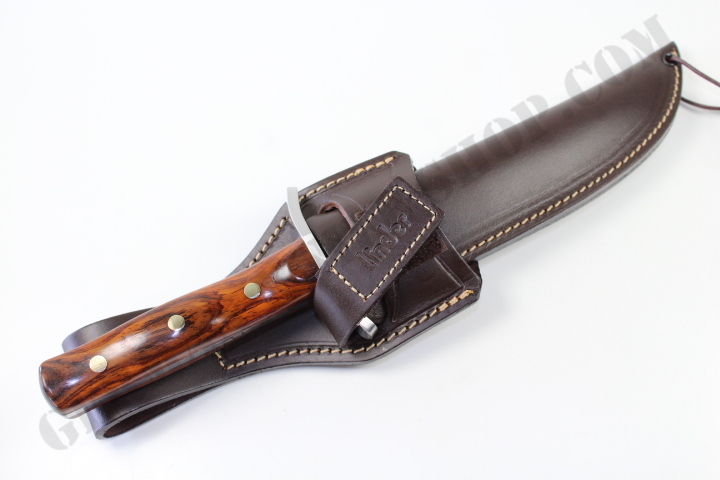 With leather Sheath. 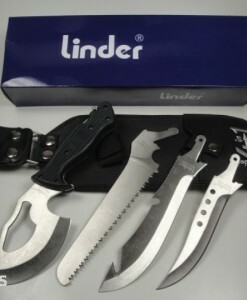 I am a collector and I love Linder knives. 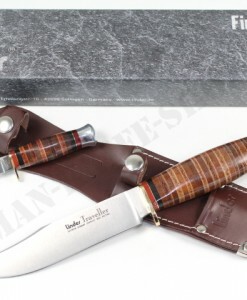 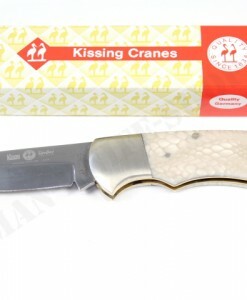 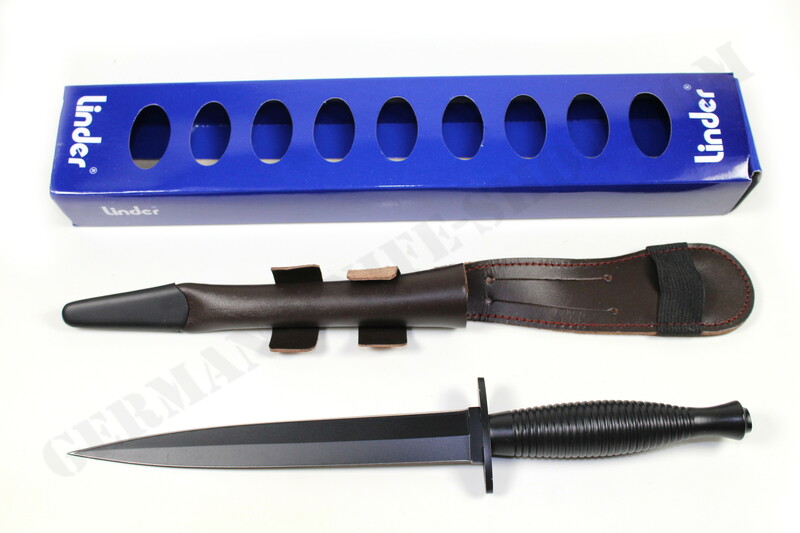 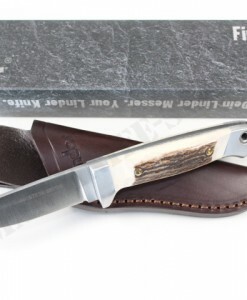 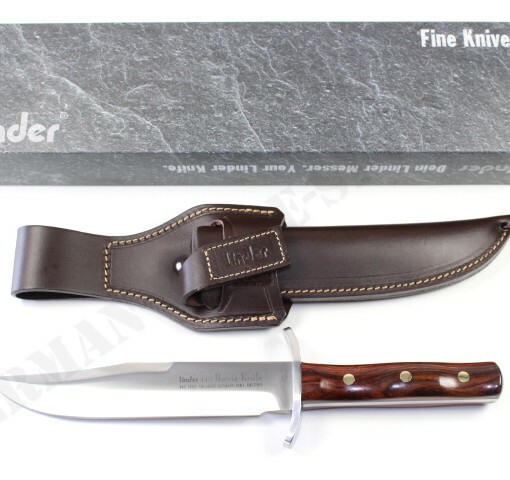 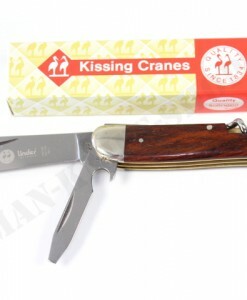 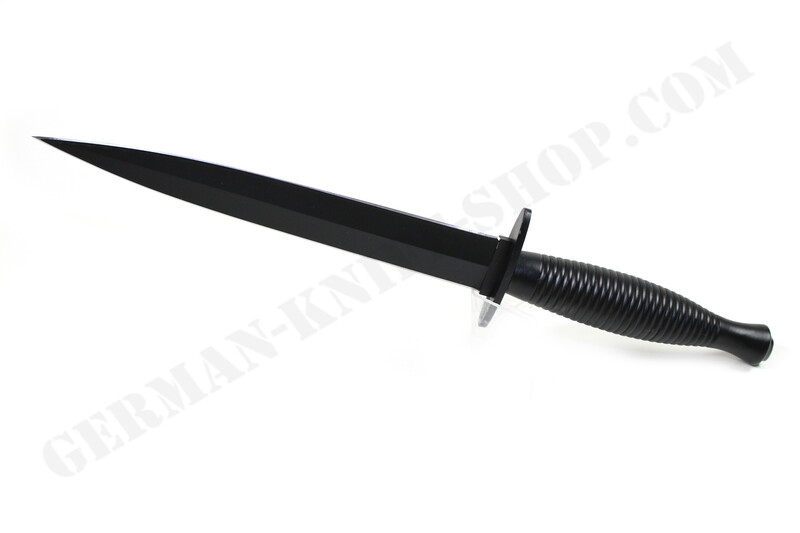 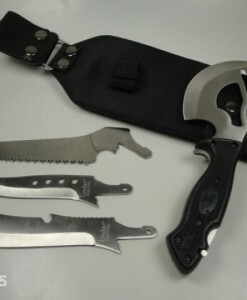 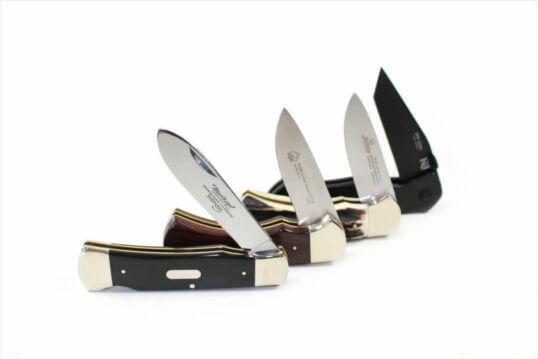 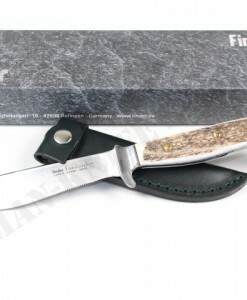 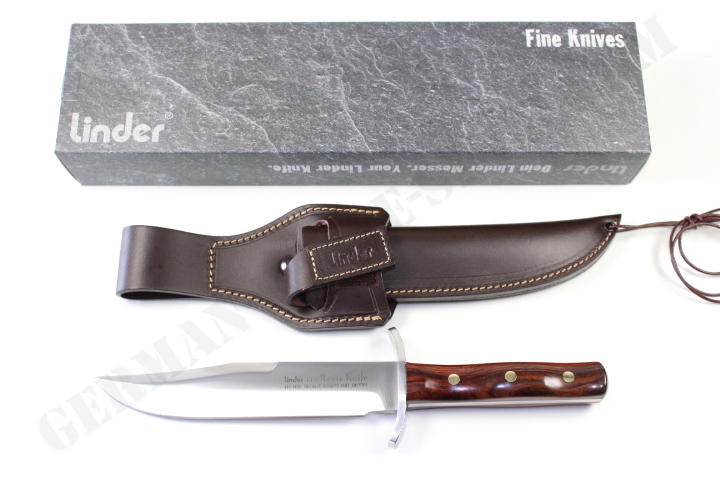 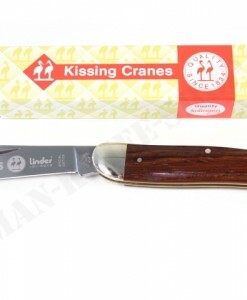 The fit and finish is perfect and they all come with a very good quality leather sheath. 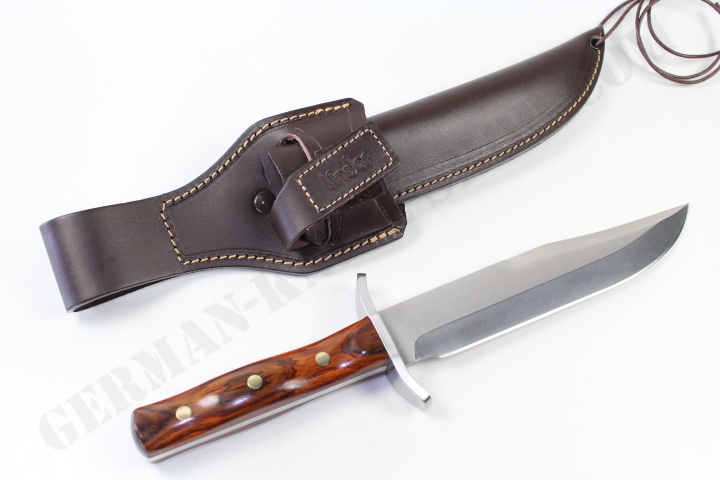 I believe if you are going to spend the money for a quality knife weather you are going to use it or put it in your collection, it must have a good sheath. 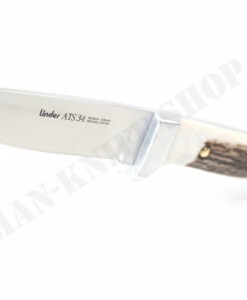 I am very happy with this knife. 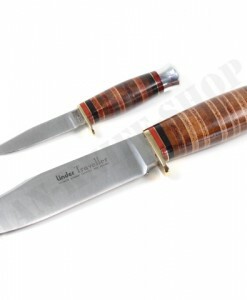 The handle with the wood and brass is beautiful. 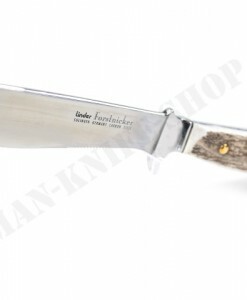 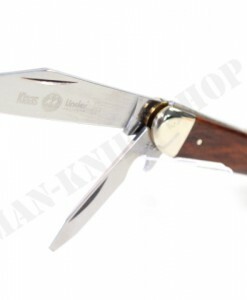 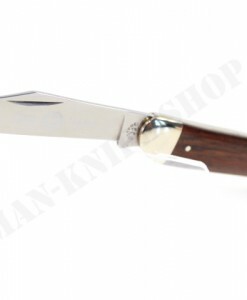 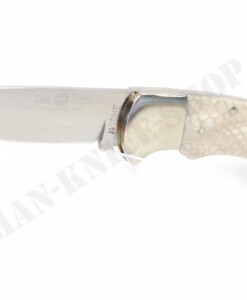 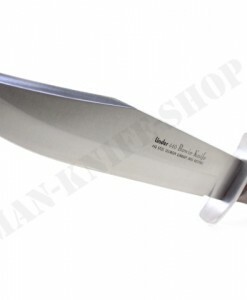 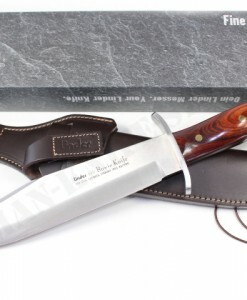 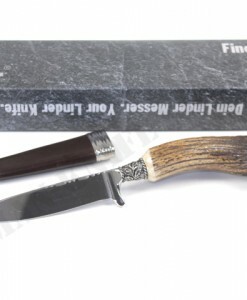 You will not be disappointed buying this knife. 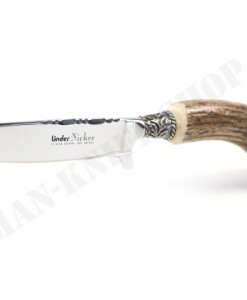 Thank you German Knife Shop.